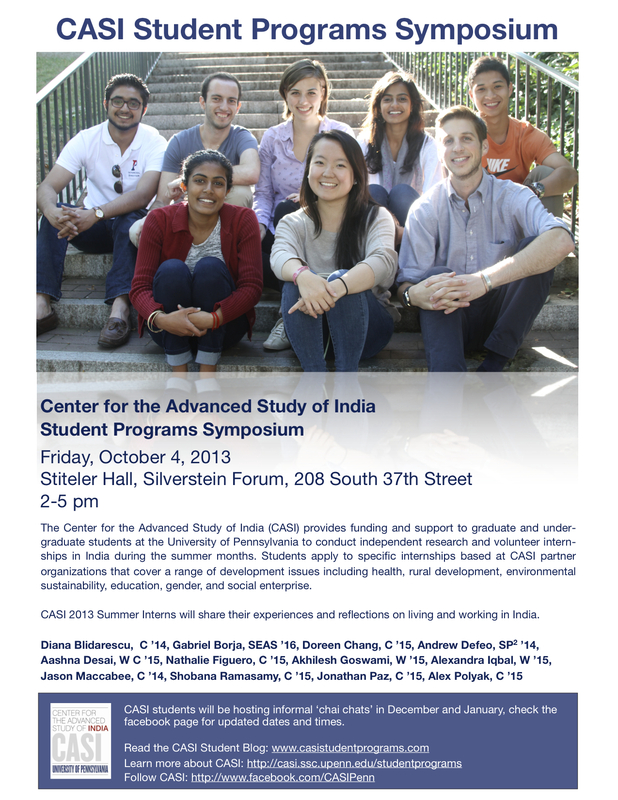 Please join us for the second annual CASI Student Programs Symposium on October 4, 2013. CASI’s 2013 internship class will present their summer experiences on working and living in India. Families, friends, classmates and prospective applicants are encouraged to attend!